Before we start chatting about books, let’s get to the invitation: This month I will be reading Pope Francis: Why He Leads the Way He Leads by Chris Lowney, who wrote the best-selling Heroic Leadership. 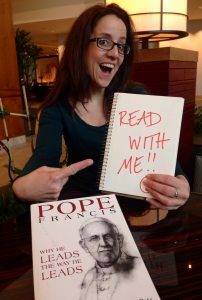 On March 19 the blog tour for Lowney’s latest stops here, and at the end of the month I hope to host a conversation with some readers about the book, and about Pope Francis in general as we round out the first year of his papacy. I hope you’ll consider reading with me this month. If you don’t have a copy, you can find it in Hardcover, Paperback, or Kindle. During February I enjoyed books by authors I already knew, and by voices who are new to me. This novel kept me company during one of the snowbound days this stormy February provided. Set in Cambridge, MA, it relates the emotional turmoil of an elementary school teacher as she falls in love with all three members of an exotic family whose only son is in her class. Claire Messud convinces us of her protagonist’s agitation, and as a bonus for Boston readers, she nails her descriptions of life in Cambridge and Somerville. Jon Krakauer’s classic of creative non-fiction often appears in the hands of my students at the recommendation of their English teachers. I know that I was supposed to walk away wondering what would have driven a young man who had it all to walk off into the wild and ultimately into danger. In the end, my curiosity was driven more toward what happened to all the nomads and wanderers that young man befriended along the way. Maybe that means I’ve spent too much time around privileged people who find reasons to be tormented, or maybe it means that Krakauer has a gift for sympathetically depicting the folks he interviews. One of the newest additions to the “how to write about yourself” genre, this was recommended to me by a friend and blogger. The best books of this type model suggestions through beautiful writing while still shining their light on the readers rather than the author. 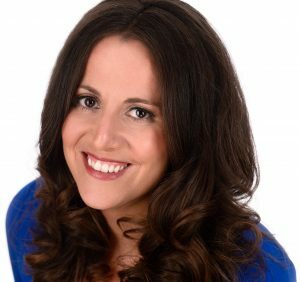 Read Beth Kephart’s book if only for her instruction on how to engage all five senses; those sections are where her work shines. While I was reading Anne Lamott’s classic people kept stopping me to tell me it changed their life. Sadly, it did not change my life, but as always I enjoyed Lamott’s unique voice and her take on the writing life. Twenty years after it was published some elements are unsurprisingly dated. Though I’d love to see an updated second edition, I see some value in walking down memory lane to a time before the internet. Vinita Hampton Wright makes me want to be creative. Read her books. Is there a pill I can take that will make me write like Brian Doyle? He had a piece in National Catholic Reporter a few months ago that took my breath away. Read The Day I Stood Shimmering in Shame, and you will want to read his books, ask him to be your confirmation sponsor and then invite him to your birthday party. I read most of these essays while in a hospital waiting room allowing barium to slide through my system before an MRI. Doyle’s sacramental vision, his ability to see the holy in the ordinary, made me see differently. I can’t say enough good things about this book. I didn’t know Richard Blanco had written a memoir until I saw it on the “new releases” shelf at the library. Hopefully he will write an extended memoir at some point, but for something written with immediacy this book is perfect in scope. Blanco’s voice is charming and his prose is poetic. The sections about being starstruck at the inauguration lose some of the epic scale that shines in his recounting of the immigrant experience, but they are an interesting cultural history in nearly-real time. The title of this engaging memoir is misleading: this is not a book about resurrection. Perhaps other readers have a different experience with it, but I didn’t find Darcy Steinke’s memoir particularly hopeful. False advertising aside, the book was a vivid page-turner. It is a masterclass in how to lovingly write about kooky parents, and is also an important reminder that stories about parents messing up kids lives are more endearing than stories about people messing up their own lives. I have to take back some of what I said above: Susan Isaacs writes endearingly about messing up her life. I understand the marketing reasons for playing up the humorous aspect of her book, but its real strength is the theme of our personal images of God affect our understanding of life and prayer. What did you read during February? 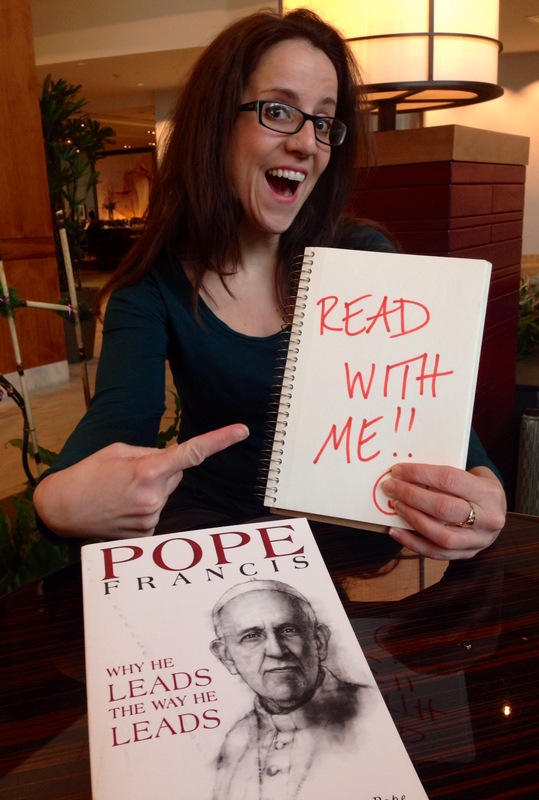 And will you join me in reading Pope Francis: Why He Leads the Way He Leads this month? Disclosure: This post contains affiliate links. Purchases made through these links put a few coins in my piggy bank at no cost to you. I will be reading “Why he leads the way he leads” with you. Looking forward to it. Excellent! I can’t wait to hear what you think.